I got my new business cards in the mail today! This was really important to me to get done before going to Chicago next month so that I can pass out cards with the correct website when I meet new friends! So year before last I was short on cash and let my domain name expire. 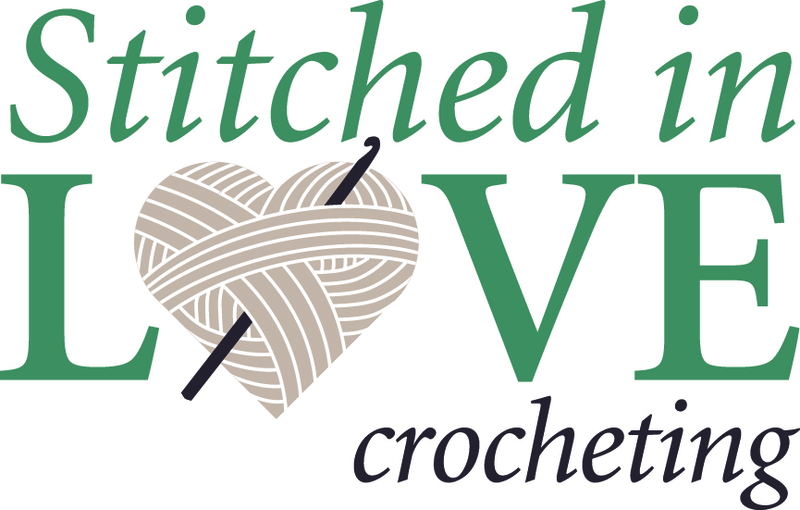 (It was stitchedinlove.com) It got swooped up and held hostage (not being used) as a premium domain for the price of like $300.00. Nope. Not going to pay that. If you’d been realistic and done like $50.00 or maybe even $100.00, I might have bit my lip and taken the hit. But that much is ridiculous. You don’t have me over the barrel that you think you do here. So I did some brainstorming and some collaborating with my crafty friends and finally ended up wondering why I hadn’t used StitchedInLoveCrocheting.com in the fist place. The only thing that I can think of is that it’s a bit long, but it doesn’t seem too bad to me now. It’s more specific and clear what the website is with this URL anyway. I like it better than the other URL, so there! As a result, I’ve had to go back and update my watermarks with the new address. Filed under 30 Days of Blog - 2017, Misc. As previously mentioned I’ve had a redesign in the works this month and I’m very excited to unveil the new logo! We’ve got the logo updated on Etsy, Ravelry, Facebook and Twitter too! And now I can order my business cards. Kristi over at Hang Ups in KC came up with an awesome logo for me, taking everything on my wish list into account. You can also find them on Facebook and Instagram! They’ve got some really great designs of their own! Today I’m going to be a bit lazy with my 30 Days of Blog Post because it’s Friday… We only have 33 followers on Facebook but we have a lot more here on the Blog. So I’d like to ask everyone to please Like and Share our Facebook Page! Click the above Link and then click on “Like” when you get to the page. Then share us with your friends on Facebook too! I’d love to get to 100 Likes, but let’s see if we can do 50 to start out with. We have a site redesign in the works right now by way of a new logo and header image. So check back soon for that!